Lonnette Bissett, left, and Mary Cunningham stand outside Espresso Bay in Traverse City, collecting donations for the Salvation Army. The long-time friends have been bell ringers together for two years. 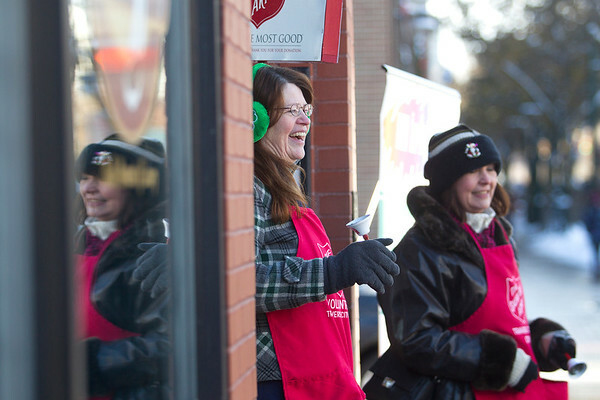 The Salvation Army has had trouble finding volunteer bell ringers this season.